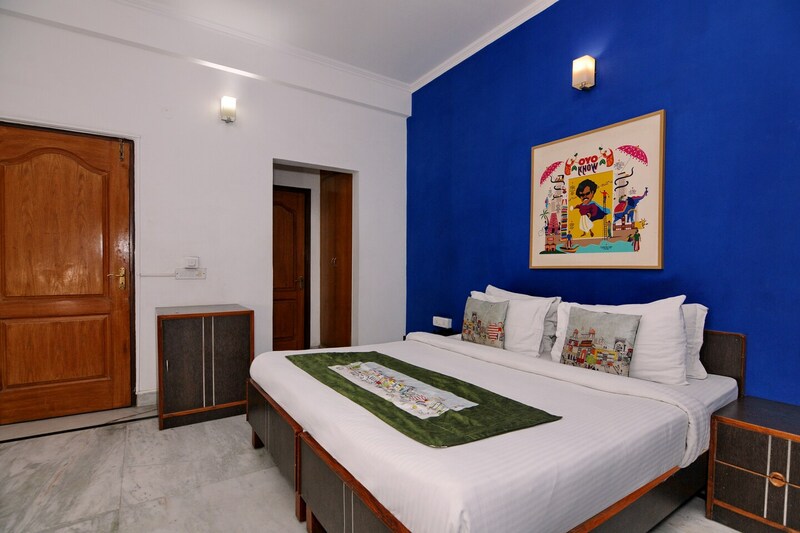 OYO Flagship 592 Hauz Khas Village in Delhi is an ideal choice of stay for business and leisure travelers, offering fine services at budget rates. The property is well maintained by a trained and skillful OYO staff who ensure all your needs are catered to. AC, Geyser and more are equipped in our property. To make the most of your visit, head out to famous tourist spots like Dilli Haat, National Rail Museum and Nehru Park. If you run out of cash, there is State Bank Of Bikaner & Jaipur, HDFC Bank and UCO Bank ATM very close to the hotel.